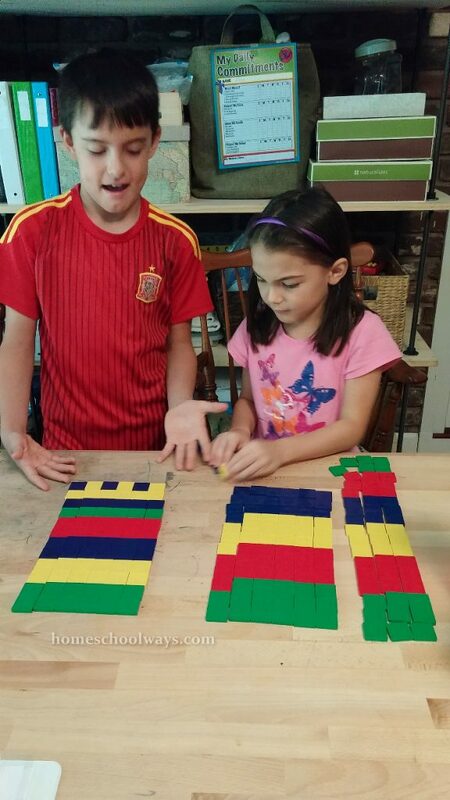 Math manipulatives do not have to break the bank. In fact, one could use beans as counters. But it’s so nice to have blocks, tiles, teddy bears, cubes, interconnecting cubes and other such math visual aids. Recently, I realized my first grader was a little overwhelmed by first grade. Not terribly so, not to tears, but just enough to cause behavioral issues. Children misbehave when they are either bored or overwhelmed. This first grader was overwhelmed by some of the abstract concepts and bored by some easier ones. Tiles arranged in different patterns.